Why farm livestock and not just crops? I’ve been involved in the Twitter hashtag #farm365 for the past month. It was developed by a dairy farmer in Ontario that comitted to posting a photo on twitter every day in 2015. There has been a lot of debate under the hashtag between vegans and farmers. I am a livestock producer and I believe in raising livestock for human consumption. My biggest frustration is when they say “Why don’t you simply quit farming livestock and switch over to crop production?” It’s just not that simple. Where would the cattle go? Do vegans really believe cattle that are left free would be better off? Nature can be very unforgiving, between predators and extreme weather, nature isn’t all Disney woodland creatures and bright verdant pastures. Biological systems are extremely complex and ending animal agriculture would not end animal suffering. Every time we displace habitats whether it be for crop production or to meet the housing requirements for growing cities we affect animals. Not all farmland can produce crops. Some land is too hilly, dry, or doesn’t get enough rainfall produce a grain crop. Most of this land though is suitable for grazing.Globally grasslands comprise 26% of total land area and 80% of agriculturally productive land. 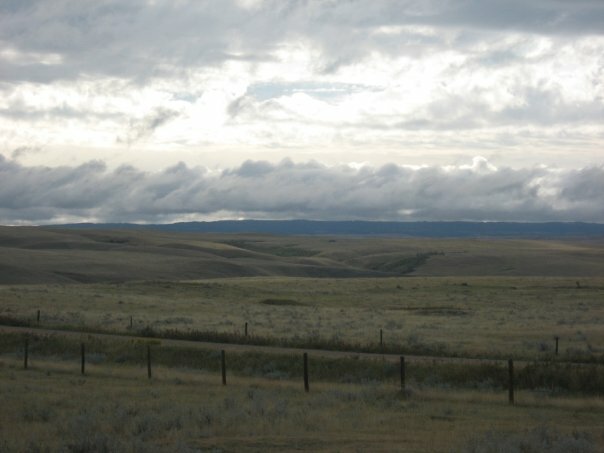 In Saskatchewan there is 33 million acres of cropland and 15 million acres of forages and grasslands. Grazing land is amazing. Grasslands capture carbon, provide habitats for wildlife and are pretty darn beautiful. When we manage our grazing lands properly, they are very productive for cattle/sheep/bison as well. Crop production is a very important part of agriculture as well, no question. However, many times crops that are grown for food production don’t make the quality requirements and these crops are fed to livestock; 80% of the barley that grown for malting fails to meet the quality grades and up in livestock feed. Livestock and cattle in particular, are amazing. We take low quality ingredients; use them as animal feed to produce high quality protein products. How else could one ever convert fiber heavy grass into protein rich beef? Amazing. Bakers Waste- bread products that are past date etc. These products are not fit for human consumption but are valuable ingredients for livestock. The rumen in cattle and sheep is an amazing organ. Bacteria in it convert fiber in sugars and protein that cows can use for growth and milk production. Using these fibrous and off quality ingredients in feed products allows the entire food production cycle more efficient and environmentally friendly, reducing the amount of waste in landfill. Livestock Production Helps Crops. Manure is a valuable fertilizer for crop production and one of the ONLY options for organic crop producers to fertilizer their land. Livestock systems also increase diversity in crops and crop rotations. Planting nitrogen fixing legumes such as alfalfa in a crop rotation helps maintain soil fertility and is an excellent feeds source for ruminants. In many developing countries, livestock are still used for draft power as well. This is why we need balanced system. 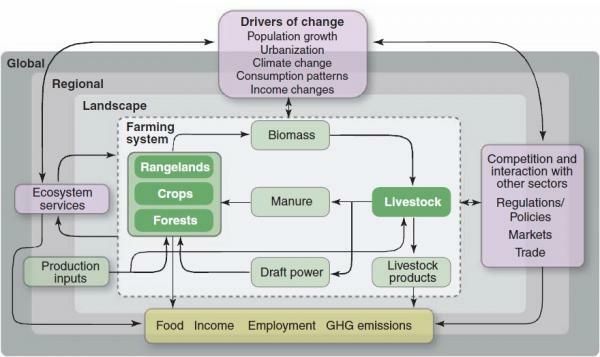 Crop and livestock production are complementary systems that have very complex interactions. We need both for a sustainable system.